Soaring Growth of Urban Neighborhoods Shows Transformation into Highly Diverse, Distinct Areas Drawing a Range of Residents and Workers, Says New Urban Land Institute Report | RealEstateRama Urban Land Institute shows that the population of urban neighborhoods in many metropolitan areas is growing as quickly or nearly as quickly as that of suburban neighborhoods, reflecting ongoing consumer demand – particularly among younger households — for living environments that are convenient to jobs, transit, and urban amenities, and which are highly walkable.
" /> Urban Land Institute shows that the population of urban neighborhoods in many metropolitan areas is growing as quickly or nearly as quickly as that of suburban neighborhoods, reflecting ongoing consumer demand – particularly among younger households — for living environments that are convenient to jobs, transit, and urban amenities, and which are highly walkable. WASHINGTON (June 20, 2018) – (RealEstateRama) — New research from the Urban Land Institute shows that the population of urban neighborhoods in many metropolitan areas is growing as quickly or nearly as quickly as that of suburban neighborhoods, reflecting ongoing consumer demand – particularly among younger households — for living environments that are convenient to jobs, transit, and urban amenities, and which are highly walkable. The New Geography of Urban Neighborhoods, prepared for ULI’s Terwilliger Center for Housing by RCLCO Real Estate Advisors, finds that for the first time in decades, population growth rates in urban neighborhoods of the nation’s 50 largest metropolitan statistical areas (MSAs) are approaching suburban growth rates. Between 2010 and 2015, the growth rate of urban neighborhoods was 3.4 percent, compared to 3.7 percent for suburban neighborhoods. This is in sharp contrast to 2000 to 2015, when the growth rate for urban neighborhoods was one percent, compared to 13 percent for the suburbs. The report’s analysis of who lives where suggests potential growth trajectories for the 50 MSAs evaluated. Seattle has the largest percentage of residents (13 percent) living in economic centers, followed closely by Washington D.C. and San Francisco (10 percent each). Jacksonville, Florida has the most residents (12 percent) in emerging economic centers, followed by Birmingham, Alabama (11 percent). New York City has the largest number (26 percent) in mixed-use districts, followed by Chicago (23 percent). Seattle has the largest percentage of residents (53 percent) in high-end neighborhoods, followed by Austin (43 percent). San Jose has the largest number (82 percent) in stable neighborhoods, followed by San Antonio (71 percent). Hartford, Connecticut has the most residents (68 percent) in challenged neighborhoods, along with Detroit (67 percent). 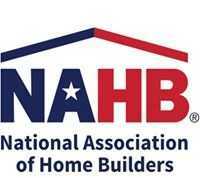 Currently, more than 29 million Americans live in urban neighborhoods. This represents 17 percent of the total population living in just one percent of the land area in the 50 largest MSAs. Urban places are now capturing more than their fair share of new job growth. Urban places accounted for 30 percent of existing jobs and 36 percent of new job growth between 2005 and 2015. Job growth was particularly strong in economic centers during this time. Upscale urban places are among the most racially and ethnically diverse types of neighborhoods. There is nearly even split between the white and non-white populations in economic centers and mixed-use districts, two urban neighborhoods with the highest average rents. Nearly one-third of urban households are headed by millennials. More than 29 percent of households in urban locations are under the age of 35, compared to 18 percent in the suburbs. Millennials are more likely to gravitate to dense, mixed-use places. Rental apartment development is now concentrated in urban locations. Between 2010 and 2017, the rental apartment inventory in urban neighborhoods increased by 32 percent, compared to 16 percent in the suburbs. However, apartment development within urban locations varied sharply, with 50 percent of the development occurring in high-end neighborhoods and economic centers; 42 percent in mixed-use districts and emerging economic centers; and only 8 percent in stable and challenged neighborhoods. Urban places continue to face greater housing affordability issues than suburban places. While average annual household incomes tend to be lower in urban areas than the suburbs — $66,000 versus $89,000 – the average monthly apartment rent in urban areas is $1,650, far higher than the suburbs, at $1,275. About 50 percent of people who live in urban areas commute by transit, walking, biking, or carpooling, compared to 22 percent in the suburbs. People living in economic centers and mixed-use districts are the most likely to use alternative transportation, because these areas are the most likely to be located near public transit. The New Geography of Urban Neighborhoods builds on a similar analysis of suburban neighborhoods conducted by RCLCO for the Terwilliger Center in 2016. RCLCO also developed an interactive atlas of urban and suburban neighborhoods in U.S. metro areas, based on the key factors that define their housing markets. While the urban evolution is unlikely to settle the ongoing “winners-versus-losers” debate involving suburbs and urban areas, healthy metro areas will “continue to feature a wide range of urban and suburban neighborhoods,” the report says. The Urban Land Institute is a nonprofit education and research institute supported by its members. Its mission is to provide leadership in the responsible use of land and in creating and sustaining thriving communities worldwide. Established in 1936, the institute has more than 40,000 members worldwide representing all aspects of land use and development disciplines, including more than 2,000 in the Asia Pacific region. 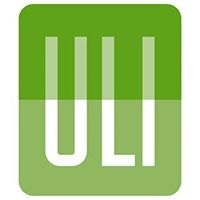 For more information on ULI, please visit uli.org or follow us on Twitter, Facebook,LinkedIn, and Instagram.